I’ve been on a few so-called ‘shop rides’ now with Harley-Heaven and Victory and it’s clearly a great exercise in getting like-minded riders together as well as demonstrating the brand strength to any fence-sitters. It’s all well and good to swap yarns and happy snaps on Facebook, but nothing replaces a solid ride in the fresh air with like-minded guys and gals. 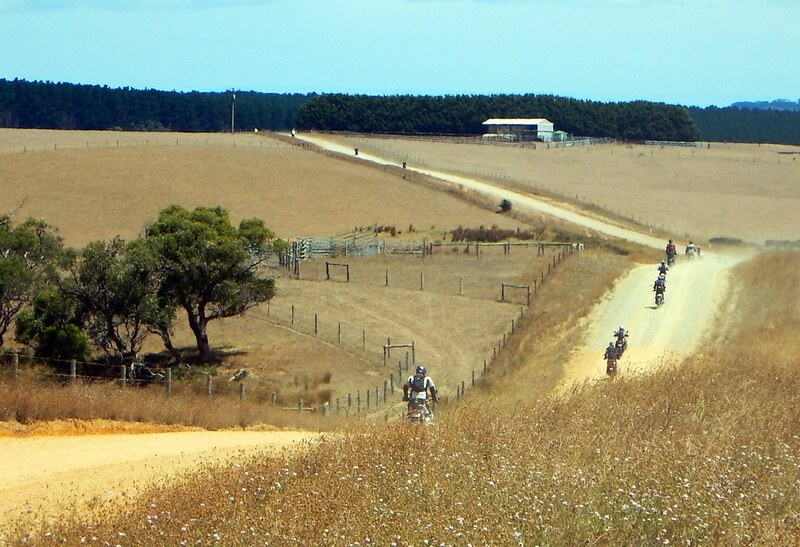 As fortune would have it, I was in Adelaide for Suzuki’s second installment where riders of all bikes were invited to Wirrina Cove down the south coast almost as far as Cape Jervis. The two-day event overnighted at the golf resort with guided ‘corner man’ rides there and back. All the Suzuki brass were there and I found myself chatting to the GM of motorcycles, the urbane Paul Vandenberg, quite by accident at dinner as well as state manager, Vivienne Hoffmann (we went to the same schools!) and National Marketing manager, Lewis Croft. Riders paid for their own meals, fuel and accommodation, but the legwork, route planning, guiding and support was provided by Suzuki and Kessner Motorcycles staff, making the whole event feel very professional. 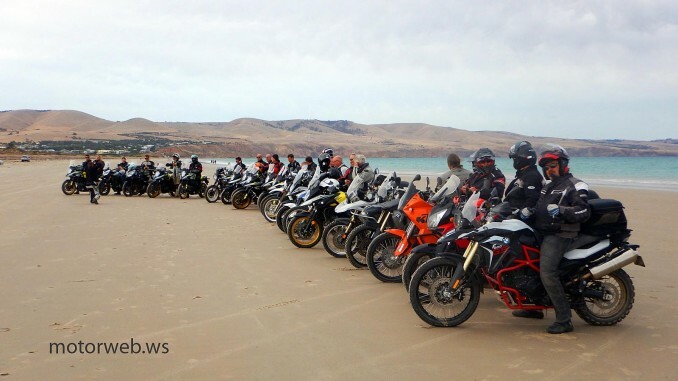 Of course, product placement was a key feature and a fleet of new V-Strom XTs in both 650 and 1000 models joined the entourage, with test rides for all out of Wirrina Cove to Second Valley. I joined the fray on a brutish Triumph Tiger 1200 Adventure and swapping to the lighter V-Strom for the test ride showed me how light and easy to ride these bikes were. For anyone wanting a jumpstart into proper adventure riding, the 650XT has what you need for under $12k and the big 1000 is less than $19k. Japanese reliability, adequate power and torque, selectable ABS and away you go. The 650s also come in LAMS-approved guise and can later be re-mapped. 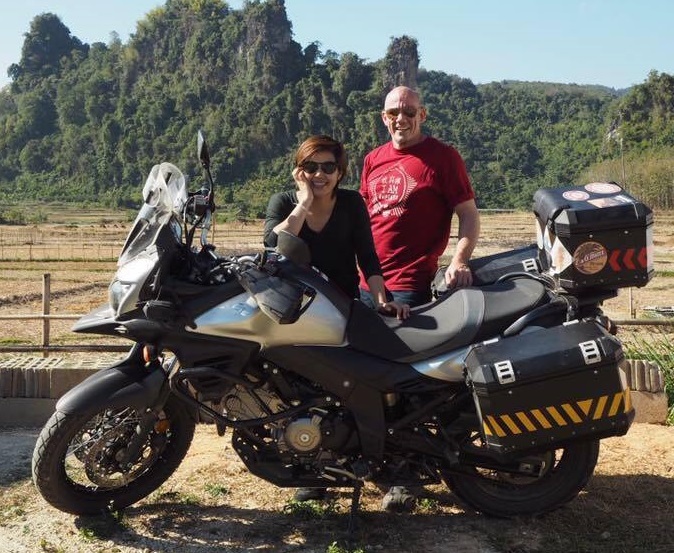 Riding pal Stu, who lives in northern Thailand, has been singing the praises of his 650 for the last 18 months, taunting me with snaps from his rides in Burma and Laos, and he’s stoked with his. “Big enough but small enough,” says Stu. Since my ride down south of Adelaide, SARs have conducted rides in Victoria and NSW, so everyone gets a go. ‘Suzuki Adventure Riders’ is an official Facebook page for Suzuki Australia, so you can stay in touch with the activities – and you don’t need a Suzuki to join in these all-make forays. Get amongst it, I say.